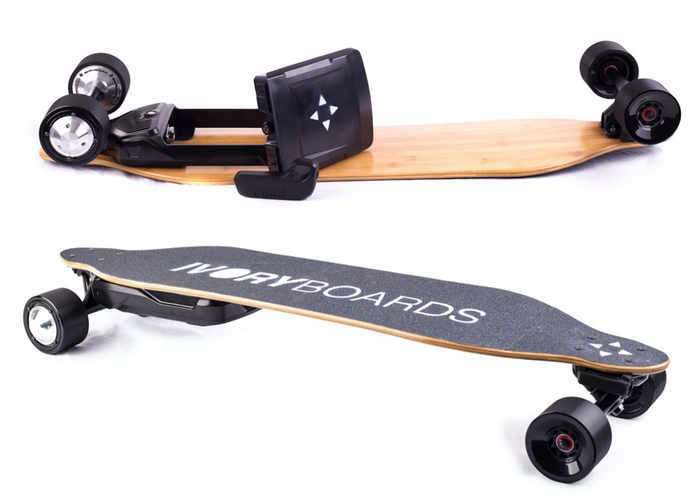 IvoryBoards have unveiled a new range of high quality yet affordable electric skateboards which have been specifically designed to provide users with a high-performance electric skateboard anywhere in the world. 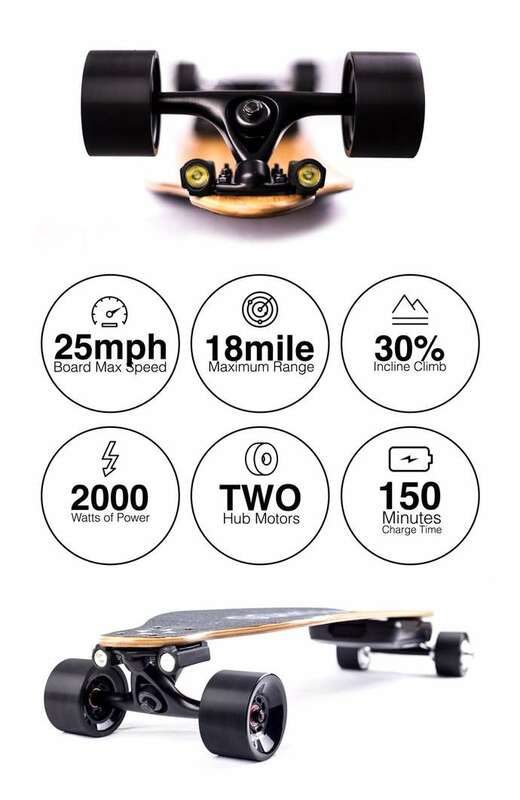 IvoryBoards has launched their new range of electric skateboards via Kickstarter this week and each board is capable of a maximum speed of 25 mph with an 18 mile maximum range. 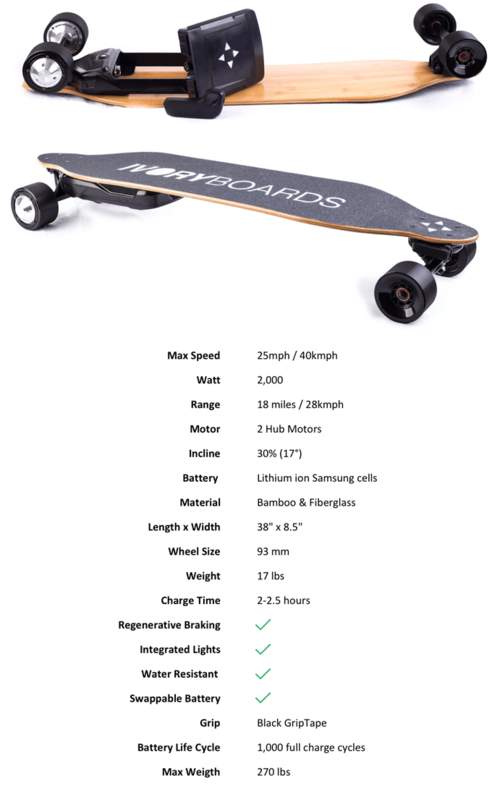 Each board is equipped with two hub motors and 2000 Watts of power which takes roughly 150 minutes to charge from flat. Watch the promotional video below to learn more about their construction and features. The IvoryBoard is now available to back for AU$915 with worldwide shipping expected to take place during April 2017. At Ivoryboards we are invested in the future, a future where portable electric skateboards dominate the short-range transportation market. Electric skateboards not only transform your commutes from a chore into something to look forward to, but they cut down on your fuel costs, let you forget the hassle of parking and help reduce pollution. When creating the Ivoryboard we had one main goal in mind, to create a high-performance electric skateboard at the lowest price possible, and that’s exactly what we’ve done. Thanks to help from our partnerships with Onan and Shredlights, the IvoryBoard is amongst some of the best performing boards on the market with a top speed of 25mph, 30% hill climb capability and a range of 18 miles. All while starting for a price of only $550 USD here on Kickstarter, far below the prices of any other comparable boards (see the comparison table below to see for yourself). By having such affordable prices, we hope to make electric skateboards as accessible to as many people as possible so that we can help make the future of transportation smarter. Help support our project and let’s do it. For more information on the new Electric Skateboards jump over to the Kickstarter website for details via the link below.